History books call it the Purge, and it altered the course of human history. A breed of seemingly unkillable creatures that once lurked in the shadows of mankind's past finally revealed themselves. Driven by an insatiable lust for human blood, these monsters - dubbed "ghouls" by some - consumed the globe in one bloody, awful night. I need book 2 in audio, STAT! 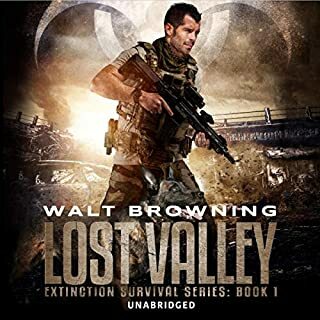 A deadly virus is sweeping through America's cities, pitting the worst humanity has to offer against its best warriors and scientists in a race against extinction. The virus doesn't just kill - it transforms and creates monsters of men and women called Variants. New York firefighter Meg Pratt is among those trapped in New York City. 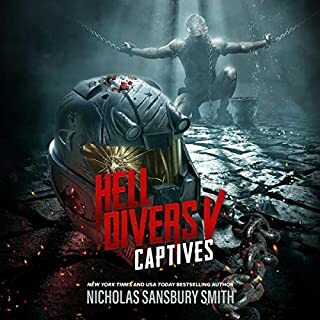 Together with her fellow rescue workers and the scattered elements of America's frontline military fighters, Meg fights to survive and hope to save civilians from the coming apocalypse. 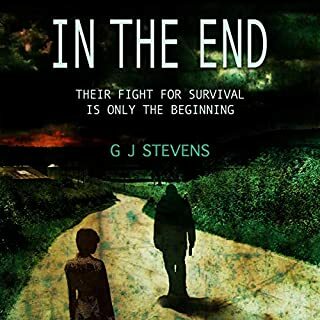 Across the city, Marine Corps washout Jed Welch is on his own path to survival, and it intersects with Meg and her ragtag group of survivors. If they are lucky, they will see the help they need emerge from within, just as everything around them is coming to an end. 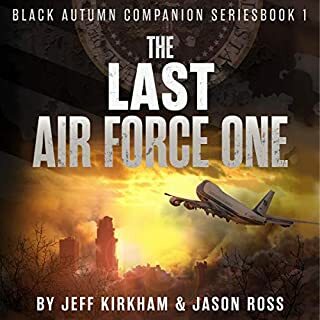 ©2019 AJ Sikes (P)2019 Blackstone Audio, Inc. I loved Meg Pratt when she was first introduced in Nicholas Sansbury Smiths' Extinction Cycle so was delighted to see this being republished so that everyone can read it. This focuses on Meg before she is left for dead and before she meets Team Ghost. 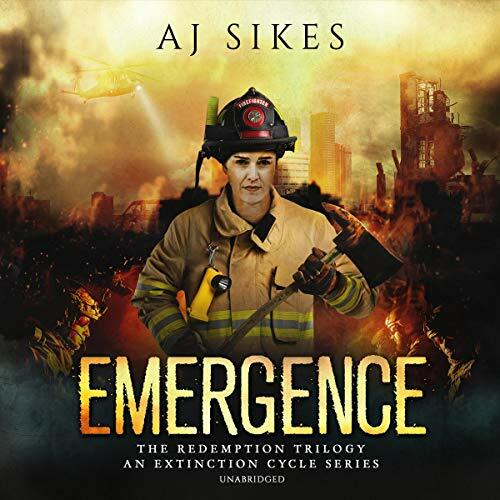 Meg was one brave and selfless firefighter and I'm so glad that AJ Sikes was able to capture that essence as well. From the first moment we meet Meg, she is only worried about saving others, including her husband. But her husband becomes infected and she watches him kill a police officer. Her whole world is turned upside down and all Meg can think is to get to her station house and see how she can help. But the engines are all out and only 2 others are there. Their only way to survive is to fortify the station and hope for the best. But with Variants everywhere and survivours beating at the door, it will take everything Meg has to survive. This also tells the story of Jed and how he came to meet Meg. While I already loved Meg before starting this, I didn't like Jed at all. Even upon finishing this, I'm still not 100% sure if I like him. I feel like he is only out for himself. In all, this was a fast paced and exciting read. I'm so glad we got to read Meg's story and that the author was able to keep up with the excellence that is Smiths' Extinction Cycle. The battle scenes are intense, the monsters just as scary and the characters just as believable and fleshed out as they are in the original series. I'm excited to see where the author takes the story. Bronson Pinchot is truly an amazing narrator. The sheer amount of tones and voices he uses astounds me at times. He also puts emotion behind the words which brings the action to life. I love his narration and highly recommend him. This was a great story to give a background of Megs journey into the Variant apocalypse, I wish it was a little bit longer but the content was great and really gave you a different feel of Jedd, Meg and Rex before the events of the core series. Looking forward to the next couple books in the series! Adrian Sikes has taken a great series of books, added his own flavor. He has taken people that where in the background of Nicholas story and have them their own time to shine. I’m not usually one that likes add on or spin off books by another author, but I will say Mr. Sikes did not disappoint he has left me wanting more with each of these books. 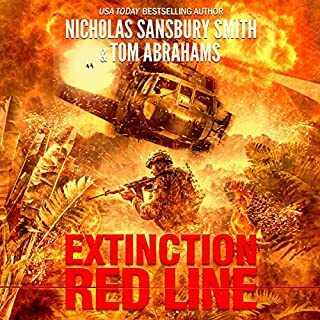 If you are a fan of “end of the world” action books I would highly recommend this series. Great work and can’t wait to experience more of your work. If you have not read any of the extinction cycle books you should block out your schedule and start listening to them. I could not put this book down! This story moves fast. And these zombies aren’t your easily killed variety. And they take on nasty features. Didn’t like that almost nobody makes it, but an interesting read. Really enjoyed the first in this series set in the Extinction Cycle universe. Meg is one of my favorite characters and learning more about her challenges and fight brought one of my favorite series back to life again. Bronson does an excellent job with the narration. Loved this one! 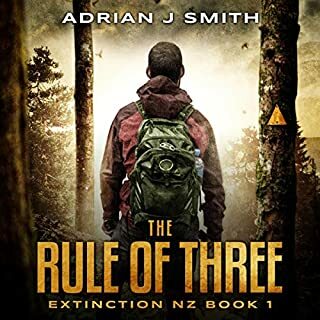 Nice crossover book from the extinction cycle series and an enjoyable 5 hours. If you are a fan of original then this is worth a listen.